Are Vancouver’s sky-high home prices inaccurate? Vancouver’s hot housing market has finally hit the milestone many prospective buyers feared, with the benchmark price of a detached home rising to more than $1 million in December, but agents say that’s not exactly par for the course. Indeed, prices in the Metro Vancouver region aren’t indicative of the GVA. Commenting in the REP forum, Sandy Clark says single-family homes in nearby Nanaimo start around $330,000, with executive homes rising in price to about $700,000. “With the ever increasing cost of owning a home in Vancouver, it is worth buyers travelling across the straight,” she wrote. But that buffer space is certainly shrinking. As the highly desirable West Vancouver becomes unavailable, buyers increasingly shift to neighbouring areas, driving up the prices there as well. 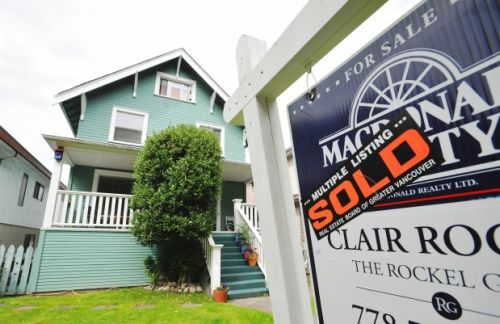 According to the Real Estate Board of Greater Vancouver, the benchmark price for detached homes in the western city in December rose more than eight per cent from the year-ago period, to $1,002,200. Sales in December also rose more than eight per cent, to 2,116 in December. The price of townhomes in the city rose 4.5 per cent over the year-ago period, to $476,800. Condo prices rose to $380,700, up 3.5 per cent from December 2013. “While home buyer and seller activity created balanced market conditions within the region, we also experienced some upward pressure on home prices over the course of the year,” said Ray Harris, the president of REBGV.